Jane Kelsey is one of New Zealand's best-known public intellectuals. She has taught at the University of Auckland since 1979, specialising in critical analysis of neoliberal policy and international economic regulation. 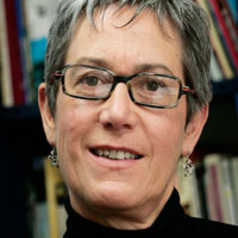 Jane is the author of numerous books and articles on the neoliberal restructuring of New Zealand since 1984, including the best-selling The New Zealand Experiment. A World Model for Structural Adjustment?. She is an active analyst and commentator on globalisation, especially free trade and investment agreements, such as the Trans-Pacific Partnership Agreement. Her recent books on globalisation include Serving Whose Interests? The Political Economy of Trade in Services Agreements (Routledge 2008), Unmasking the Trans-Pacific Partnership Free Trade Agreement (Bridget Williams Books, 2010) and Hidden Agendas: What we need to know about the TPPA (e-book,Bridget Williams Books, 2013). She travels extensively talking on these issues to a wide range of audiences, acts as an adviser to a number of governments and international organisations, and is an active member of a number of international coalitions of academics, trade unionists, NGOs and social movements working for social justice.